Hey guys! Whitney and Ashley here from Shanty-2-Chic.com! We are so excited to be here with you. We started our site 3 years ago to teach other women how to decorate their homes on a budget. 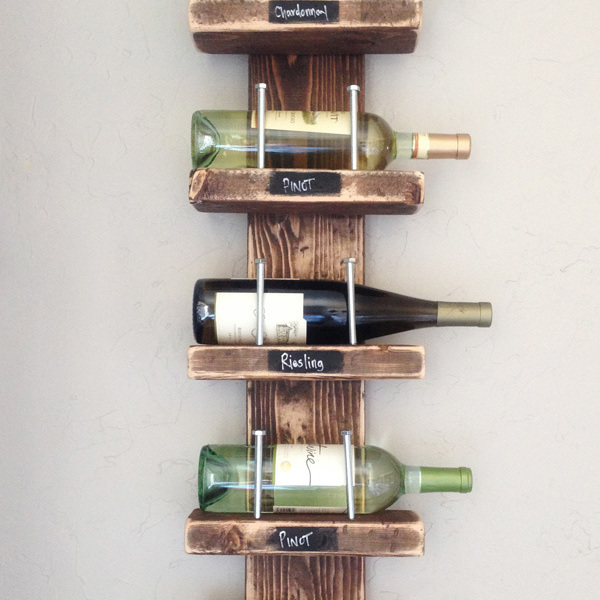 We are constantly building new pieces for our home with lots of bang for very little buck! 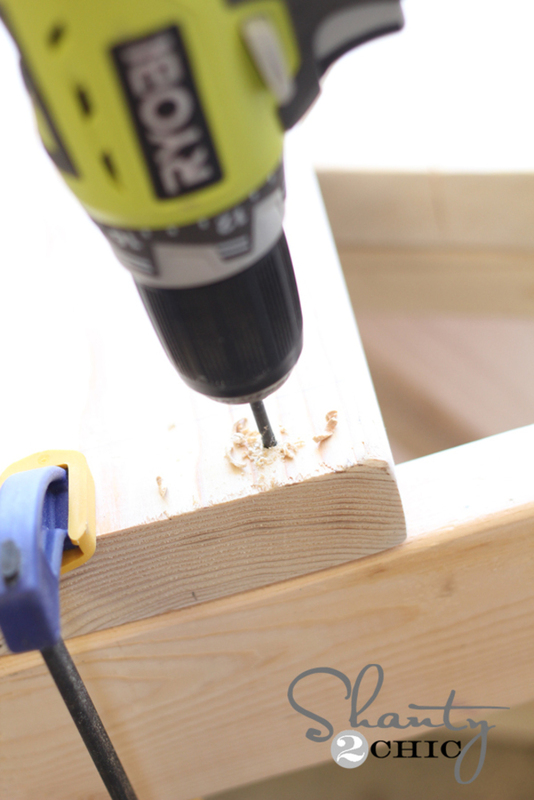 We have a passion for DIY and hope to inspire all of our readers to pick up their tools and get to work! 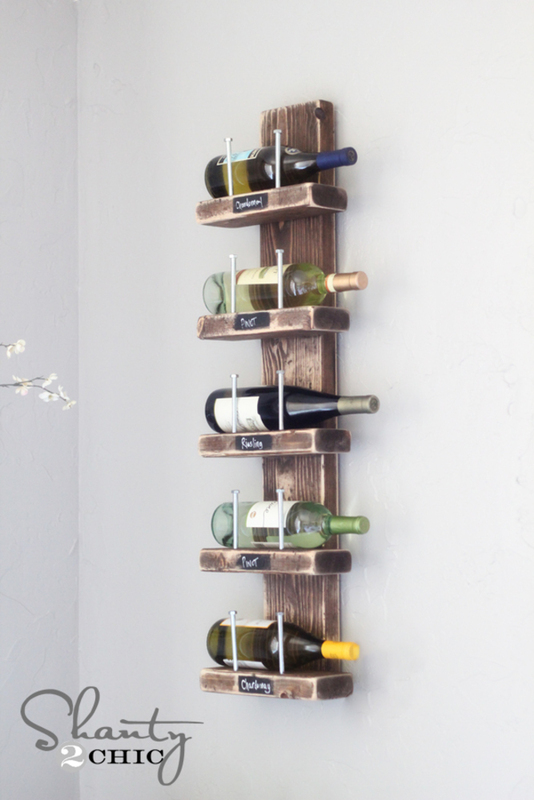 Today we will be showing you all how to make a simple rustic chic wine rack for under $15. Can’t beat that! 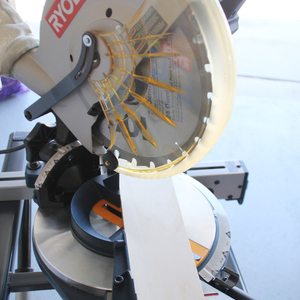 We used our Ryobi 10″ Compound Miter Saw to make all the cuts. 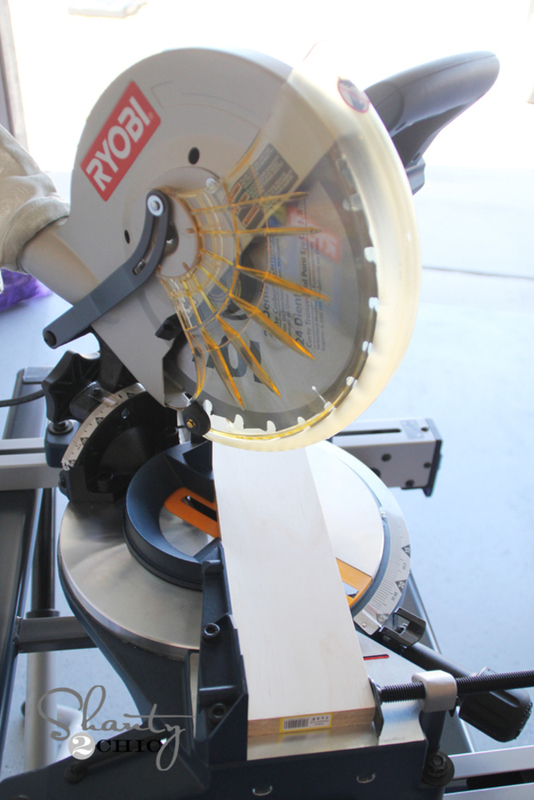 This saw makes it simple and quick! We had them done in no time! 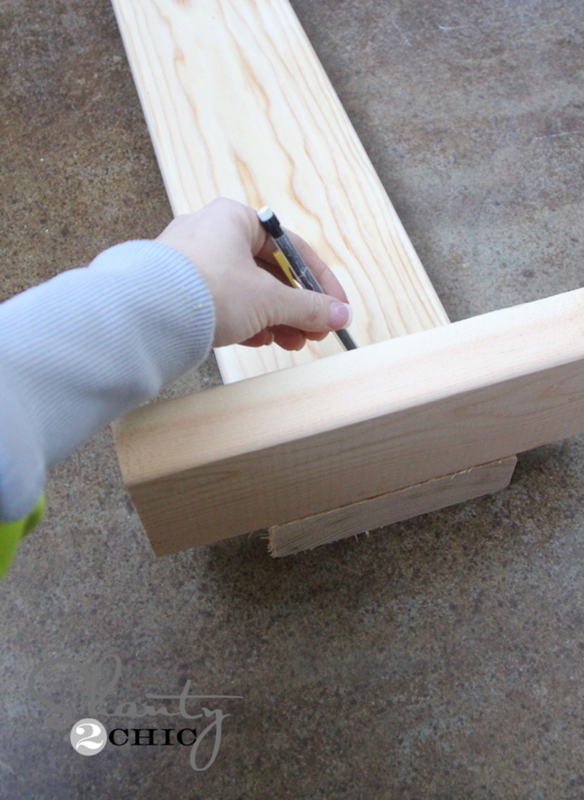 Before attaching all of our pieces, we like to sand all of our corners and edges down a bit. We love the look it gives the finished piece! 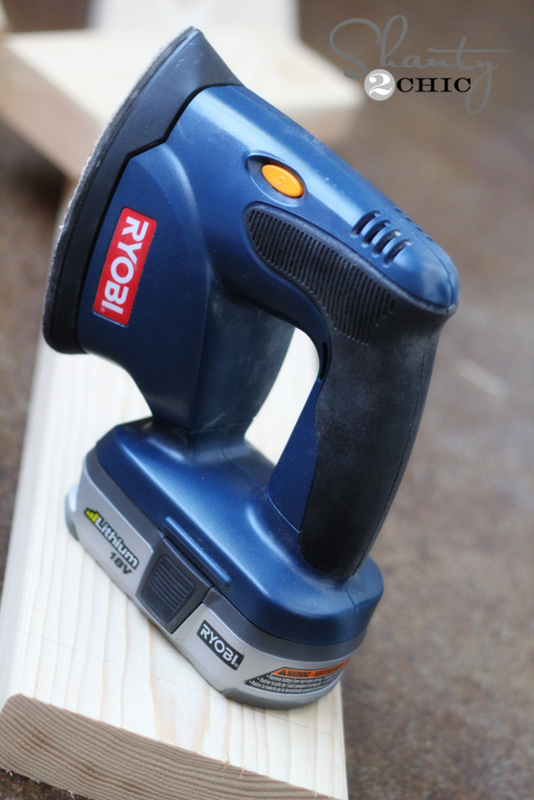 Ryobi’s 18V ONE+ Corner Cat Finish Sander is one of our very favorite tools. 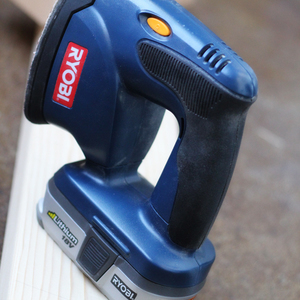 It isn’t bulky or heavy at all, and the power this tool gives is awesome! LOVE. We use it all the time and it’s perfect for this job. 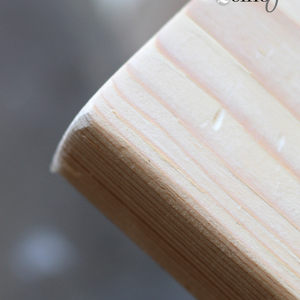 This is what the edges look like after we finished sanding. We started by marking our 2×6 board. We lined up our 2×4 piece every 6″ and marked lines on the bottom and top of the 2×4. We did this to both sides of the 2×6 board. 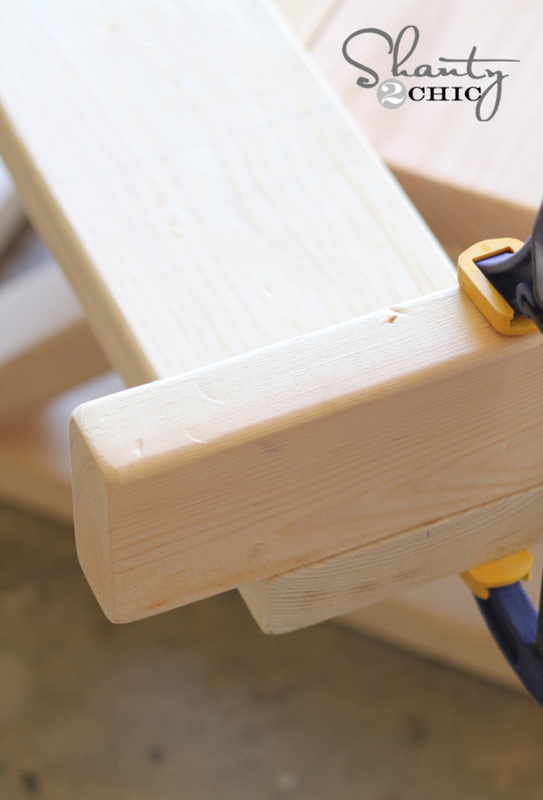 Before attaching our 2×4′s to our 2×6, we put 2 holes in the top/front of each 10″ piece. You want them really close to the front. Ours are about 1/4″ from the edge. Please see example photo. 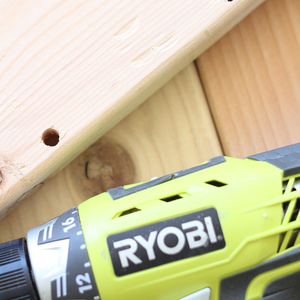 We used our Ryobi 18V Lithium-Ion Drills for this part! 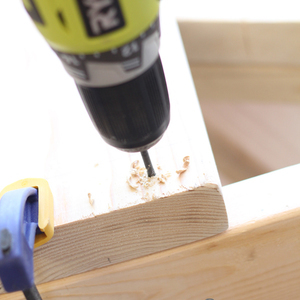 This is hands down our favorite drill we have ever used! It has so many cool features that set it apart from others, and it’s lightweight. 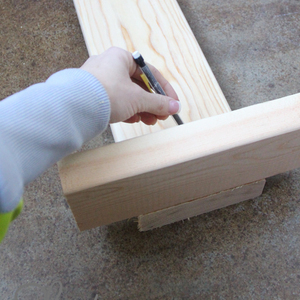 Next, we added a line of wood glue onto our 2×4 pieces and clamped them to the 2×6 where we made our marks. Easy! 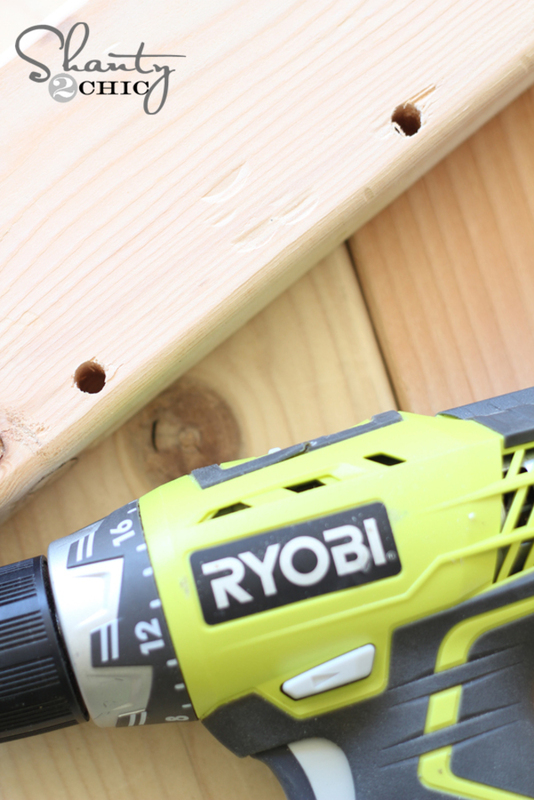 We used our drill to pre-drill 2 small holes where each 2×4 piece would sit. Now we used our drill to insert our wood screws through those holes. This is what the back of the 2×6 looks like where each 2×4 sits. 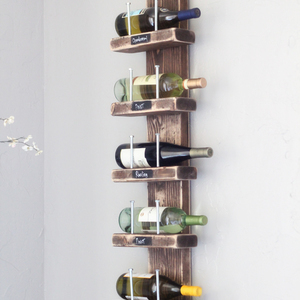 After we had all of our boards attached, we gave the whole piece a coat of dark wood stain. 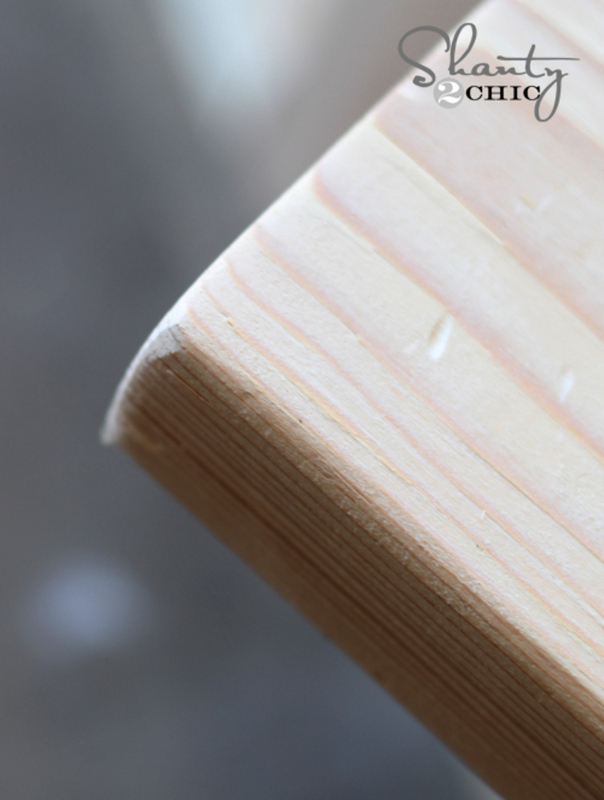 After it dried we went back over the edges and corners again with our Ryobi Corner Cat to give it a worn finish. Love it! We also decided to add a small label on the front of each board using chalkboard paint. We just taped the area off with blue tape and spray painted the chalkboard paint on. Totally optional! Our final step was adding our hex screws. Just insert 1 into each of the holes and you are set! 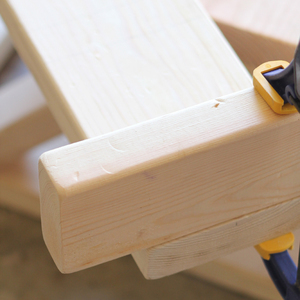 Make sure to use anchors on the wall if you can’t attach yours to a stud. Here is ours all finished up! Great idea I am thinking of something like this for towels. Hey @JBowman Check it out! !